A Collection of Old and New Beadwork, with Patterns and Lessons For Working. 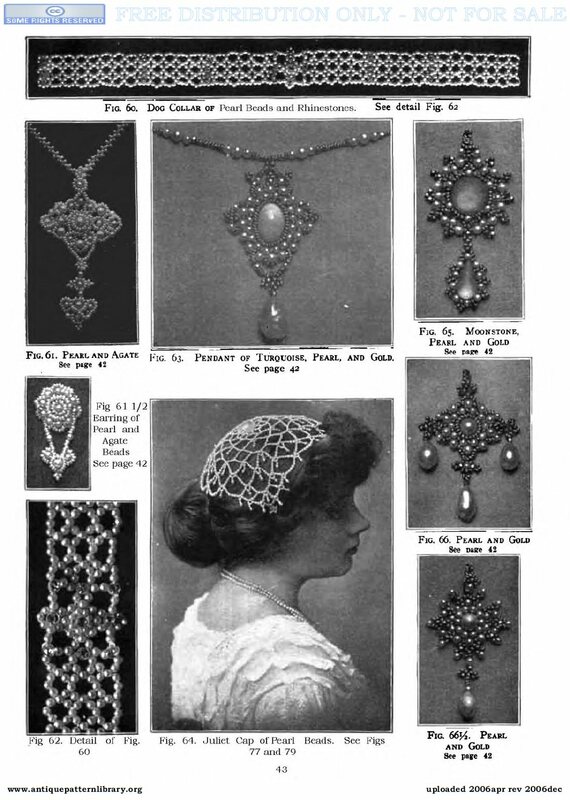 Designs from the 1700�s through early 1900�s, some simple, some dazzlingly complex. Instructions, patterns and charts for woven, knit, crocheted, and canvas embroidered beaded bags, purses, belts, jewelry.